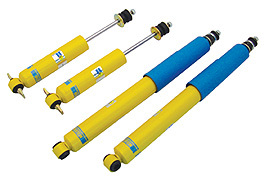 Bilstein gas shocks are made with seamless shock bodies, hardened chrome plated and polished shaft. Precision valving, and the highest quality seals. Improved ride, handling, and control, with Bilstein's lifetime warranty.